This is no ordinary Stromboli…. I decided to make it with a dough made with Italian Herb and Garlic. 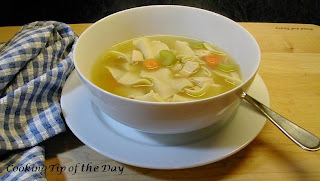 Made with a mixer fitted with a dough hook, this meal is a snap to make and ohhhh so good.... but if yo prefer .. you can use a purchased dough... bread or pizza dough both work well. 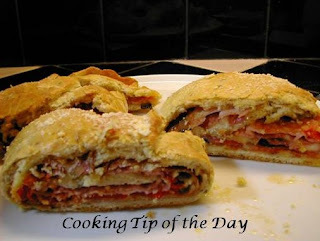 For those of you not quite sure just what a Stromboli is…. 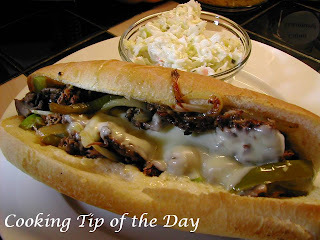 it’s Italian bread dough that’s rolled flat… and layered with assorted Italian meats, cheeses, and vegetables such as olives, roasted peppers, onions and the like. The bread dough is then rolled, jelly roll style and baked. When served, the Stromboli is sliced into thick slices. So what is a Stromboli? Just a bit of trivia…. according to Wikipedia… Stromboli is reported to have originated in 1950 just outside of Philadelphia, Pennsylvania at a place called Romano’s Italian Restaurant & Pizzeria which was owned by Nazzareno Romano. The story goes that William Schofield gave it the name of Stromboli after the movie by the same name starring Ingrid Bergman. There are other sources that claim the Stromboli was invented by Mike Aquino, Sr. from Spokane, Washington in 1954. When I worked at a large company, food days were often celebrated with people bringing in homemade foods. 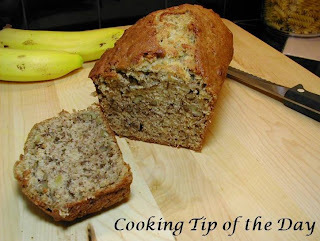 A friend of mine, Ruth, always brought in what she called “Garbage Bread”…. a Stromboli by another name. No matter what you call it or who was the first to make it… it’s very good. 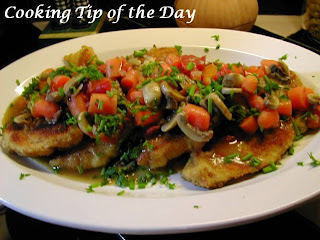 You can make this with any recipe for pizza dough…. 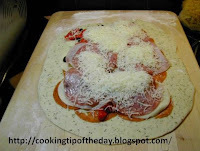 It doesn’t have to be seasoned….I posted my pizza dough recipe a while ago… this recipe is just cut in half…. and to add a bit of variety I seasoned the dough… the result was terrific and will be my standard from now on. 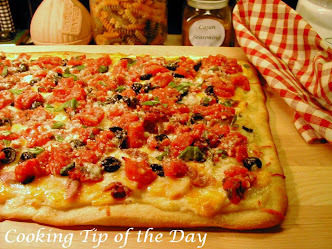 If you want step by step instructions on making pizza dough… take a look at that post. You can also purchase pizza dough, you can find it in the dairy section of the grocery store. I used thinly sliced pepperoni by Hormel… the slices were the same size as salami slices… if you use the smaller slices of pepperoni, obviously you will need more than the 5 or 6 slices the recipe calls for. This Stromboli will make about 10 thickly sliced pieces… I figure about 2 per person depending on what you serve with it. We had dinner salads with ours for a weeknight dinner. In a measuring cup… combine the water, yeast and sugar. Allow the yeast to form a “head” like a beer… about 10 minutes…this way you are sure the yeast will work to make the dough rise. In a mixer bowl for a mixer fitted with dough hook, combine the flour, salt, Italian Seasoning, garlic olive oil and yeast in water. On medium speed, let the dough hook mix the dough. Stop the mixer periodically and knead the dough by hand by rolling the dough a bit to incorporate the ingredients. Continue to allow the mixer to knead the dough until it feels like “chewed bubble gum”…. If it feels sticky … add a little more flour… a ½ tablespoon at a time… if it’s dry and crumbly… add a little water… a ½ tablespoon at a time. Hand knead it a bit to make sure you have all the ingredients incorporated and form a ball. 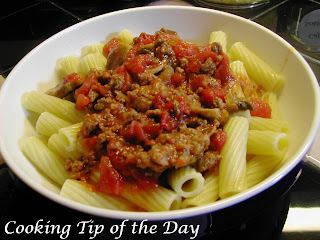 Pour the 1 tablespoon of olive oil in a medium bowl, using a paper towel…quickly coat the inside of the bowl. Roll the dough ball in the bowl to coat with the olive oil. 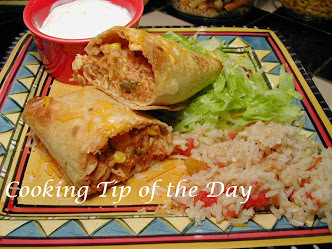 Cover with plastic wrap or a damp cotton towel and place in a warm place that doesn’t have a draft. I usually heat my oven to warm then turn it off when I start the dough. When the dough is ready I put it into the oven …. Make sure the oven isn’t too warm… it should be around 100 degrees F.
Let the dough rise until doubled in size (about an hour if you use the Rapid Rise yeast). 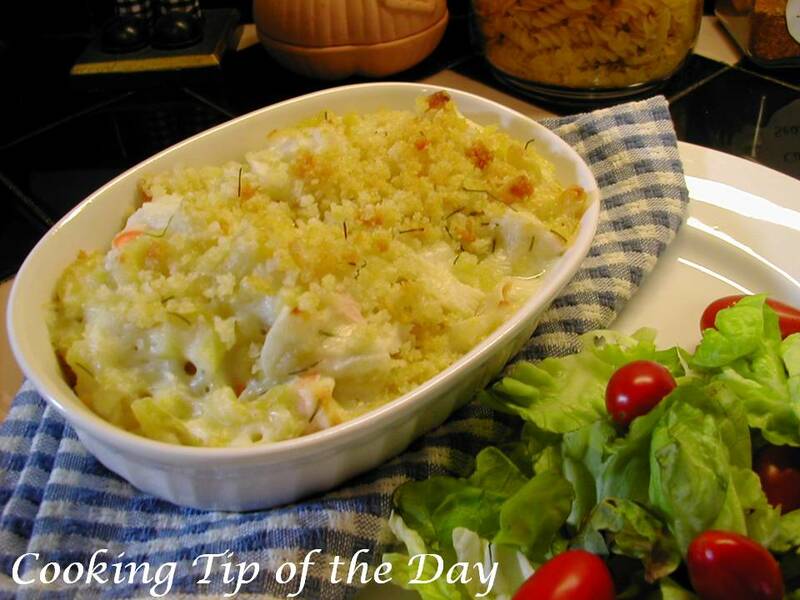 Line a large baking sheet with parchment paper or lightly grease the pan. 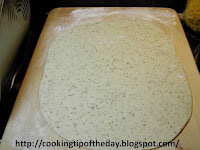 Flour a pastry board and place the dough on it… punch down the dough (deflate it) ….it will be very sticky… knead the dough into a ball using the flour from the board. Roll out the dough to a rectangle about 14 inches by 10 inches. Layer the ingredients on the dough leaving a 1 inch border. Brush the 1 inch border with the egg wash using a pastry brush. Carefully roll the dough and ingredients like a jelly roll starting on the long side. Tuck the ends in and pinch the dough. Pinch the dough where the dough ends to secure. Transfer the Stromboli to the prepared baking sheet. Brush the Stromboli with egg wash.
Bake at 375 degrees F. for about 30 minutes or until light golden brown. Remove the pan from the oven and sprinkle the Stromboli with the grated Parmesan cheese. Return the pan to the oven and continue baking for another 5 minutes until golden brown and the cheese melts slightly. Use a pizza cutter to cut thick slices and serve. OMG... I am so making this! sounds like a great recipe for our National Championship game coming up!! I used to make stromboli all the time. 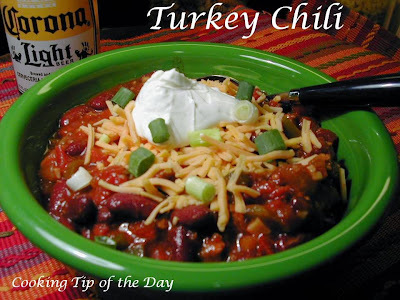 This recipe brought back memories. Wow, this sounds so good, I'll give it a go soon, as I can already imagine how amazing it will taste. Could you please tell me though, how much one of the yeast packets weighs and whether it is dry yeast or fridge stored yeast? We don't get the Fleishmans brand here. 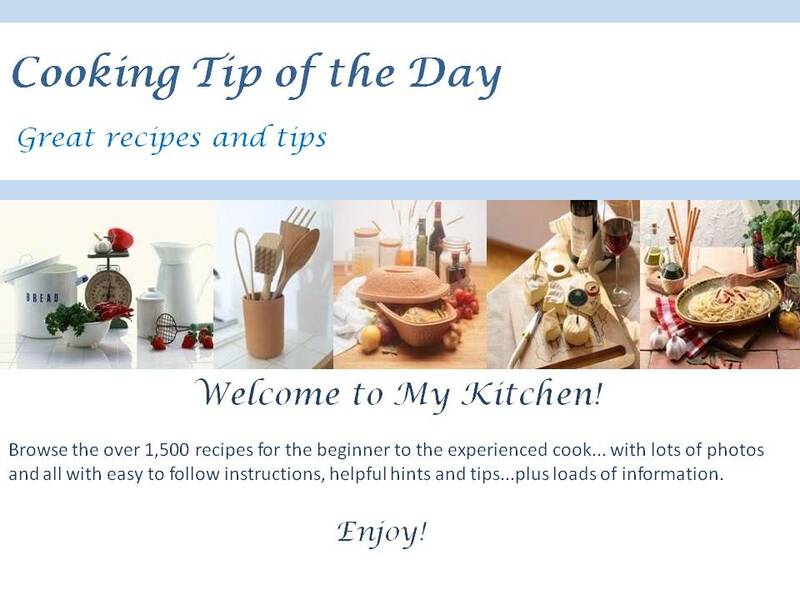 Thanks and also thanks for the "how to" pictures and great other recipes, awesome blog. Thanks Ms Blueberry! I'm so glad you like by blog! We really like this recipe too.. I use one of these dry packets when I make a loaf of bread... so... I would recommend ... if my answer above doesn't totally help... use whatever quantity and type of yeast you would normally use to make a loaf of bread... it should work fine. Fantastic!! I just made my very first Stromboli ever for dinner tonight. It was also my first time using an egg wash. I used a pizza dough recipe from my bread machine, and it worked out great. I did have to wait two hours for the machine to do its magic though. :( I also omitted the olives and peppers, and I added about a quarter cup of diced onions. I will most definitely be making this again soon!! Delicious!!! !